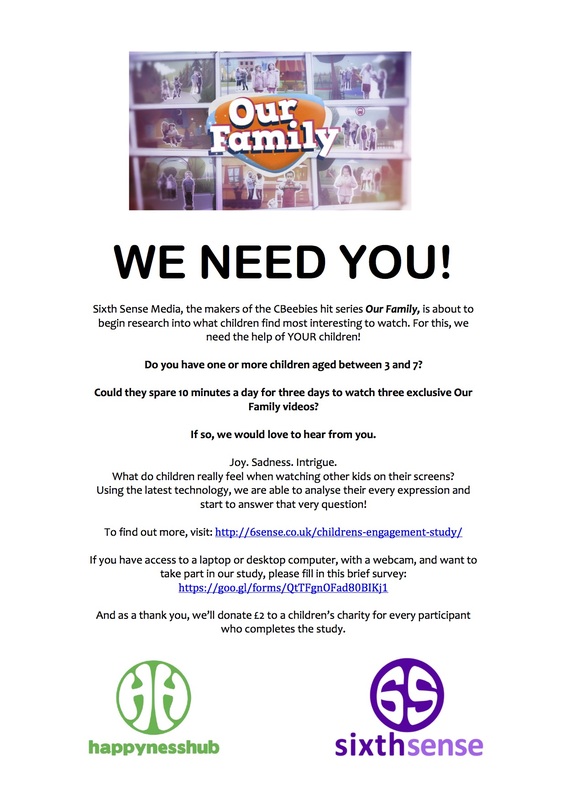 Sixth Sense Media is about to embark on a ground-breaking study into children’s engagement with our shows. We are working with our partners Affectiva Inc. to use facial recognition software to capture every expression on a child’s face when watching a video. The state of the art technology allows us to analyse what the child is feeling from these expressions and, ultimately, we can see how the child engages with the programme. We are very excited about this here at Sixth Sense and will be using the information to help us with our development of Children’s content. Sixth Sense MD, Sallyann, will also be sharing the findings at industry events. To find out more and apply to be part of this research project then click here.